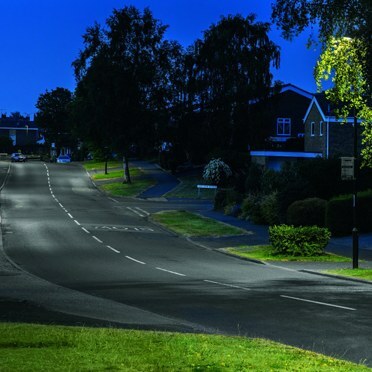 Derbyshire County Council is responsible for more than 89,000 street lights. In an effort to reduce its operating costs and meet its CO2 reduction targets, the council wanted to replace the energy-guzzling SON-T lanterns used in residential areas with a more efficient and longer-lasting solution. 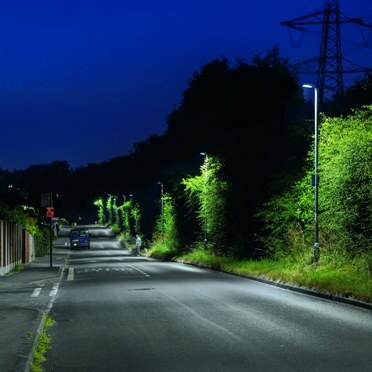 Thorn Lighting won the tender to supply the lighting for the residential roads at various locations in Derbyshire. 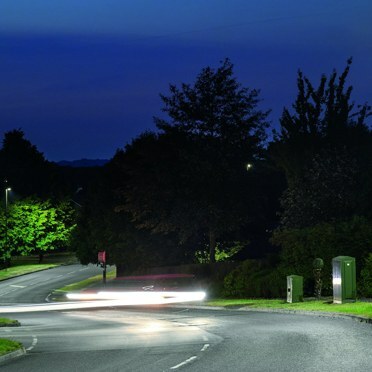 Thorn’s CiviTEQ luminaire was the ideal solution to fulfil the council’s brief. CiviTEQ is a cost-effective LED road lighting solution that offers the best possible balance between cost of ownership and performance, easily adapting to any installation layout. 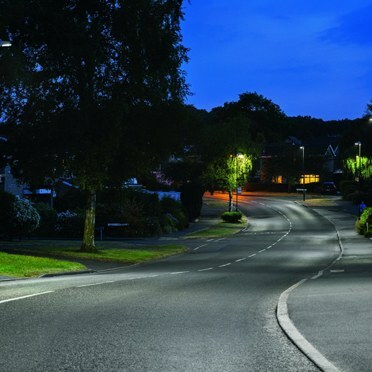 Its patented R-PEC® optic has been designed to provide safe and efficient light on residential streets and busy roads, with 12 precise light distributions delivering unparalleled versatility. CiviTEQ is also dimmable, unlocking further efficiencies. Its bi-power switch can be used to activate or deactivate dimming on-site. The new lighting maximises energy savings for Derbyshire and reduces maintenance, whilst also providing high quality illumination and carefully tailored light distribution. Further savings will be made by dimming the lights in most locations to a maximum of 50% output between midnight and 5am. With electricity prices rising, it is envisaged that the capital investment for the switch to LEDs could be paid back in just over eight years.